After several months of bidding wars, ArcelorMittal has beaten out Nunavut Iron Ore Acquisition to acquire a majority of Baffinland Iron Mines Corporation’s shares, thereby winning control of the Mary River iron ore deposits on Baffin Island, in Canada’s Eastern Arctic (map). The world’s largest steelmaker will control 70% of the shares, while Nunavut will control the other 30%, all in all a $590 million valuation. Previously, Arcelor had offered $1.40 a share and Nunavut $1.45, until the two companies agreed to jointly offer $1.50 a share. While Arcelor appears the winner, it is still a major coup for Bruce Walter, the Canadian behind the scenes of many mining deals. He formed Nunavut Iron Ore only last August for the sole purpose of bidding on the Mary Island deposits. Arcelor was set to take over Baffinland last August until Walter attempted a hostile takeover, sending stock prices soaring. The deposits can produce up to produce 18 million tons per year, with an estimated lifetime of 21 years. 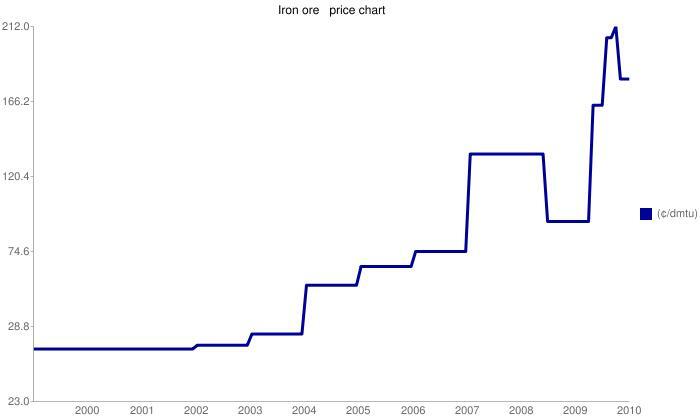 If the price of iron keeps rising as it has done in the past 10 years, the investment could pay off. But still, it is expected to cost CAN $4 billion to develop the site, which Baffinland had tried in vain to do for years. The project area is expected to consist of an open-pit iron mine and a crushing and screening pit. Major logistical challenges face the project. The ore deposits are located in the Qikiqtani Region of Nunavut, one of the most sparsely populated areas in the world. The largest nearby settlement is a community of 1,300 people 160 kilometers north at the tip of Baffin Island. A few other scattered Inuit communities dot the island, but there are no roads connecting them to the South. So now the real debate of how to transport the mined ore begins. There are two possible options to get the mined ore to the port at Steensby Inlet, 149 kilometers away: train or truck. Building a railway, which would be the world’s most northern tracks, would have much higher initial costs but would allow the full 18 million tons to be exported annually. Trucking along the existing 99-kilometer Milne Inlet tote road (an unpaved road for transporting supplies and cargo), while a much cheaper option, could only handle moving 3 million tons a year to port, but export could begin much earlier. In either case, the port is only open to shipping three months out of the year due to sea ice. 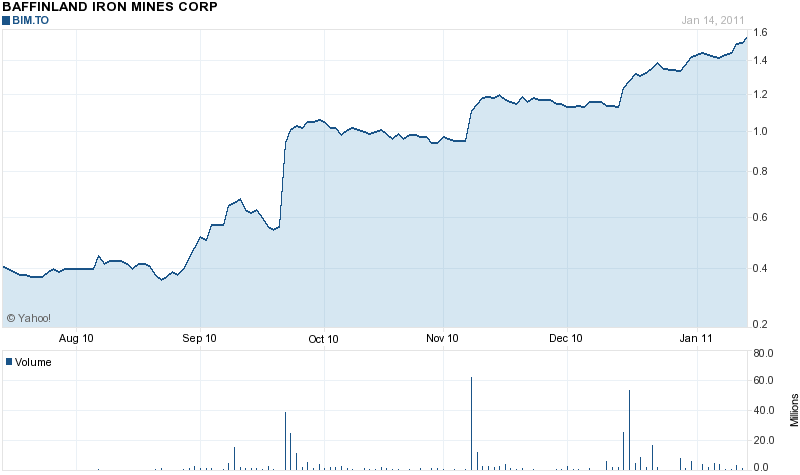 All things considered, Arcelor and Nunavut currently stand to profit. With iron selling for $175 a ton to China, higher estimates for the operations costs involving trucking (but not including transport by sea to export destinations) for the Mary Island deposits are around $63 a ton. The deposits have a 66% grade, which is high-enough that the ore does not require further chemical refining before export.